There's so much to try, and with the annual Vermont Cider Week coming up at the end of February, there's no better time. Some of the most sought-after beers in the world (that's right, the world) are being brewed in Vermont right now—The Alchemist in Stowe, Lawson's Finest Liquids in the Mad River Valley, and the Northeast Kingdom's exemplary Hill Farmstead are three cult favorites that have inspired many a pilgrimage, and rightfully so. Then, there's the cider. Slightly less obsessed-over, but also very worth celebrating, Vermont ciders are, quite simply, some of the best out there right now. 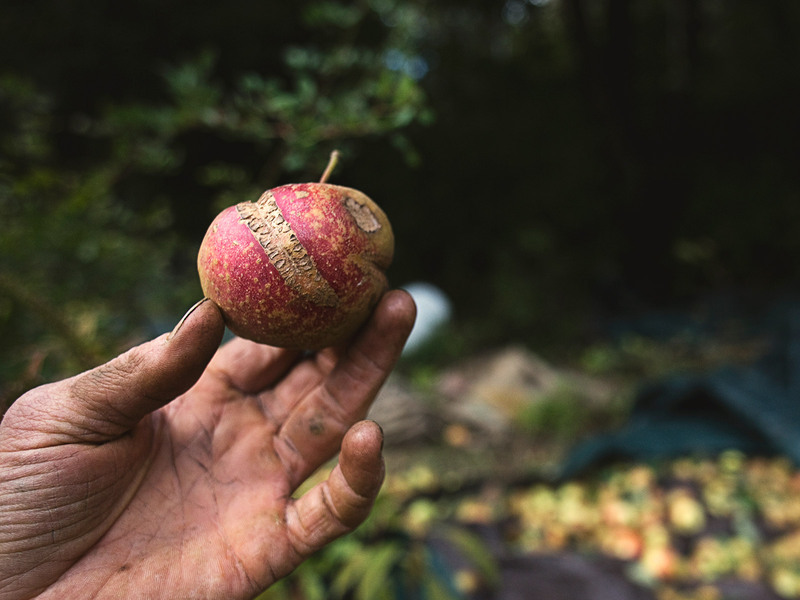 The growing season may be relatively short here, but apples are a crucial part of the state's edible heritage; it just so happens to be the official state fruit. 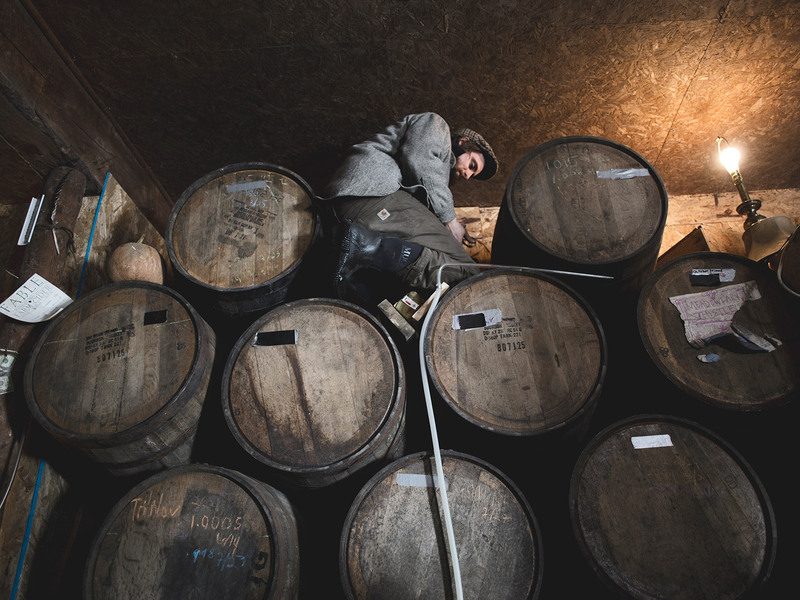 Hard cider production is as old as Vermont's relationship to the apple, very long indeed, but the modern era began back in the early 1990's, when a local winemaker began experimenting in his Proctorsville garage, going on to create the now famous (and ubiquitous) Woodchuck Cider. Part of a multi-national conglomerate now, Woodchuck is still here, working out of a massive facility in Waterbury that comes complete with large, group-friendly tasting room and gift shop. Their contribution to the cider scene we enjoy in Vermont today is undeniable, laying the early groundwork to inspire a whole new breed of cider makers around the state, some of which are now seen as important to the genre—Shacksbury in Vergennes, for example, or Fable Farm Fermentory in beautiful Barnard—as their hops-obsessed neighbors are to beer. Hitting all the highlights during a short visit is just a tad difficult; Vermont is a relatively small state, but not that small, and there's a lot of ground to cover. However, if you find yourself in Burlington, the lively state capital (and you really should), there's enough of the good stuff within striking distance of the city to satisfy your curiosity (and slake your thirst) in one busy, cider-filled day. Still better, if you plan your adventure between February 23 and March 4 this year, you'll be around to experience the annual Vermont Cider Week. A kick-off party in Stowe, two festivals (one in Norwich, one slopeside at Burke Mountain) and a couple more worthy happenings make visiting very soon a fine idea—it could save you a bit of driving, having so many of the state's best makers in one place. Then again, there's something exceedingly pleasant about a Vermont road trip, yes, even in the middle of winter, as long as the roads are clear, anyway. So grab some warm gear, head for Burlington, and let's get started. You are in one of the best states for cider, so let's just go ahead and start you off with a visit to one of Vermont's most decorated producers. 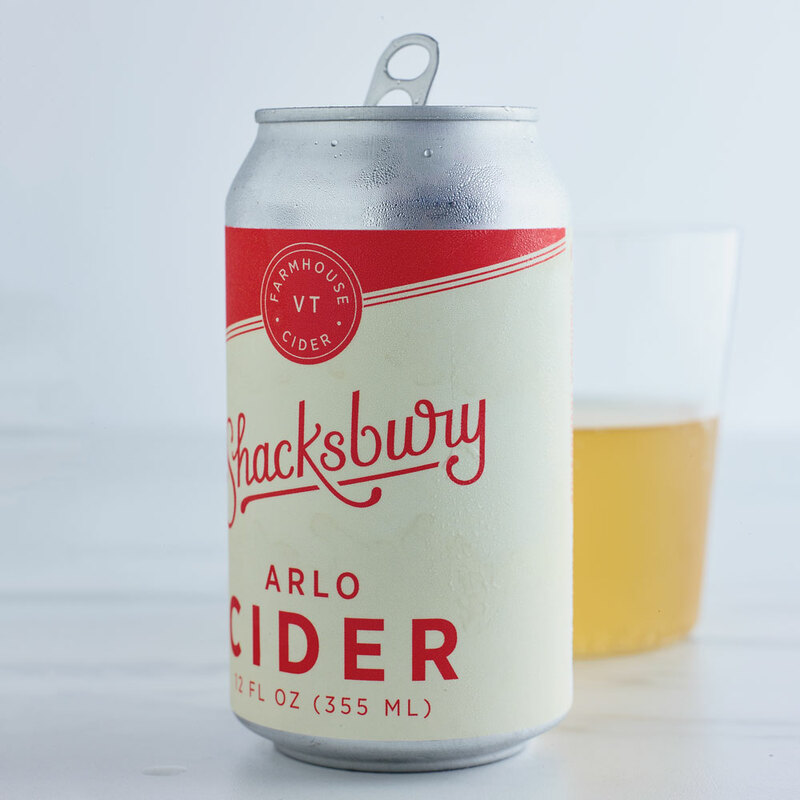 Known well for their commitment to reviving (and saving) obscure varietals, founders Colin Davis and David Dolginow are equally passionate about producing very good, everyday ciders; their easily-snagged Shacksbury Dry (it comes in cans) came out on top at this year's Good Food Awards. Shacksbury's bright, welcoming tasting room, just a little more than a half hour from downtown Burlington, is a great place to kick off a tasting tour. Try everything you can get your hands on. While you're here On your way south, make the very short detour off of Route 7 to Shelburne Farms. The model agricultural estate, founded back in the 1800's, is one of the most-visited historic sites in the state; unfortunately, the busy farm complex shuts up tight during the winter months, but the farm shop remains open—no excuses for not stopping in for some of that legendary Shelburne cheddar. From Vergennes, there are a number of ways you can cut across the state to get to Vermont's most high-profile ski town, but the best way (weather permitting) is to stick to the back roads (Route 17) and cut up through the Mad River Valley (Route 100), past the town of Waterbury, and on into Stowe. 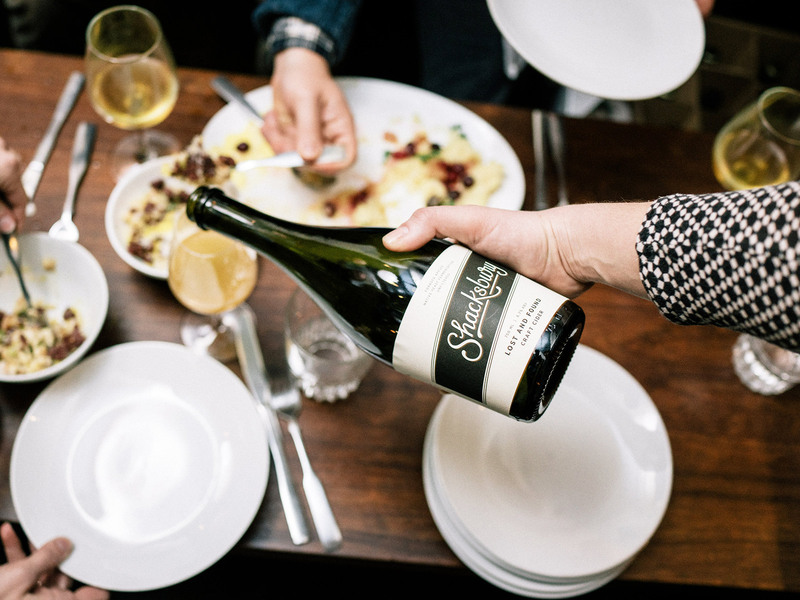 Here, you find Mary and Stefan Windler's celebrated cidery, which turns out everything from obscure barrel-aged reserves to summer-only, berry-infused numbers. At the core, however, you'll find their easily available, super-dry High & Dry, a semi-dry Tips Up, and the dry-hopped Safety Meeting. Yes, try them all. While you're here The Alchemist's sought-after retail shop and tap room is just three minutes further up the road, towards the slopes. You know what to do. If the lines are too long, consider a stop at Waterbury's Craft Beer Cellar instead; they've been known to stock the hard-to-find, Good Food Award-winning ciders from Fable Farm Fermentory, down in Barnard, easily one of Vermont's prettiest villages. Round out your day with a stop on the south end of Burlington, where a trio of entrepreneurs from very different backgrounds have turned a side project into a highly successful operation known for its range of very good ciders, from the dry-hopped Lake Hopper to the unique new Tulsi, made with holy basil grown right up the road. The tasting room is a popular hangout for locals; there's food, and they're open until 10pm most evenings—no hurry. While you're here Food & Wine Best New Chef alum Eric Warnstedt has been nominated for James Beard awards so many times, even he is probably losing count by now, and if you get a table at Hen of the Wood in downtown Burlington for dinner, you'll see why his name keeps coming up, year after year. In a state known for pride in the local produce, perhaps no chef has their ear to the ground quite so faithfully; the well-curated local cheese selection is worth a stop on its own. Warnstedt and co-owner William McNeil (he's the wine guy) now have three restaurants—there's the original Hen in Waterbury, and a pub in Stowe.